Safaris are very romantic and thus makes them ideal for honeymoons. There are many experiences and lodging options so a custom trip is easy to put together. There are a couple of different main options for your trip. You can split your time between relaxing in the bush on safari with spending time in the city or split your time between a safari and a quiet beach resort – your choice. Romance, tranquillity and incredible surroundings are the highlights of this honeymoon package, which packs in a luxury safari, a trip to Cape Town and a stay in the Cape Winelands. A bush and beach combination journey where you will travel in style and will explore Cape Town, safari in the exclusive Sabi Sand, and stay on a tropical beach in Mozambique. The perfect well-rounded honeymoon and the coming together of safari, cultures, cuisines, and discoveries. This honeymoon package visits South Africa’s Western Cape staying in boutique luxury in downtown Cape Town, a romantic spa hotel in the Cape Winelands, and whale-watching in Hermanus. Your final days complete your trip with a four-day safari in the Timbavati Game Reserve. We have tailored countless memorable safari honeymoons. Enquire today to let us build yours too. 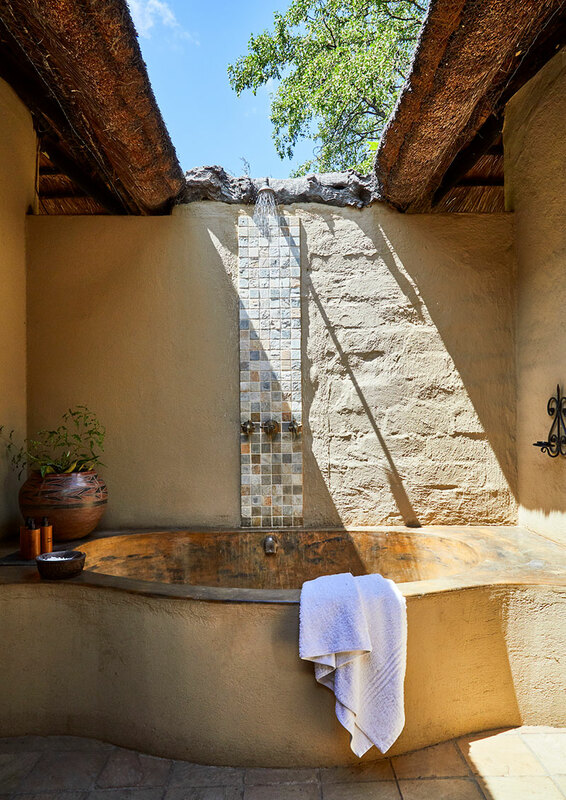 The luxury rooms at Arathusa are private and beautifully situated in the African bush. Each has it’s own private viewing deck and plunge pool for afternoon relaxation. With just a few hours drive from either of these amazing cities, you will find yourself experiencing a true African bush style safari honeymoon, an experience that will leave you with a lifetime of memories. From top class luxury accommodation and dining in the bush too romantic sunset game drives and cocktails overlooking the majestic landscapes that wild Africa provides, there literally can be no worries in the world during this special time for you and your partner. What makes safari honeymoons so romantic is the tranquility of the African bush. These holidays allow for a time of reflection and casual conversation as it seems as if time has somehow slowed down just for you. The hospitality at safari lodges is authentic too – the relationships with the staff you meet will mean something, and thus it makes them a part of this experience with you. Perhaps most of all, what makes a safari honeymoon something special is that it will be the single most amazing thing you have done in your lives together. And what a way to start your marriage. We have put together countless individually tailored holiday packages for couples, and we are in a position to first listen to your dreams and then combine them with our experience in African travel to make them real. A small lodge with limited guest offers a very romantic safari experience and great game viewing; a true African experience you will never forget. The simplicity of mother nature and the stillness of the African bush create the romantic atmosphere and lifetime experience. These are our recommendations for you.